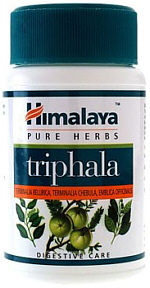 Himalaya Triphala is a 100% natural herbal compound. 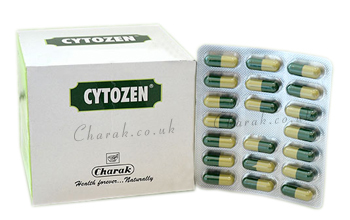 Triphala is a cornerstone of ayurvedic medicine. Triphala means 3 fruits and contains equal proportions of the fruits of Amalaki / Indian Gooseberry (Emblica Officinalis), Haritaki (Chebulic Myrobalan) and Vibhitaki (Bellirica Myrobalan).